Potential customers are in Canada, why aren’t you selling to them? Expanding into a foreign market can seem very daunting, especially when you add a whole new set of rules for payroll and employment standards compliance. Most U.S. companies decide that the complication and liability of hiring foreign workers far outweighs the potential sales revenue that can be made with an expansion north of the border. 1) Tax the Canadian sales person the same way they would their U.S. sales reps, converting the pay into Canadian funds and mailing out a cheque across the border. 2) Pay them as independent contractors. The second way only works if the person is a true independent contractor in which the CRA, similar to the IRS, has very strict rules surrounding the qualification of these businesses. 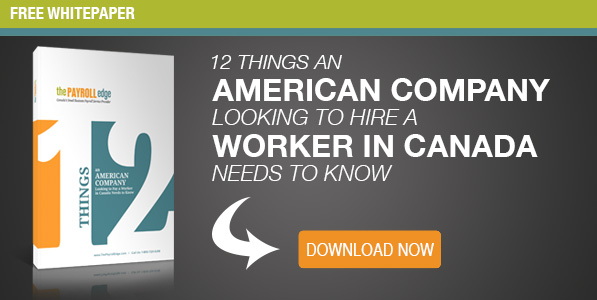 Unsurprisingly, an independent contractor is expected to be just that - independent. They set their own hours, provide their own tools, and can subcontract their work to other people. By law, you have very little say in how they conduct their business. When hiring a sales person you anticipate that they will learn your product or service, set and meet specific goals, represent your company brand to prospects and only work for you. A sales person, who is treated as an independent contractor, rarely meets the criteria to be paid as such in the eyes of the Canadian government. While the above may seem easier, it’s illegal and can result in huge fines, back payments, criminal penalties, and the loss of your right to conduct business in Canada. Not expanding isn’t the answer either when there is true potential for company growth. 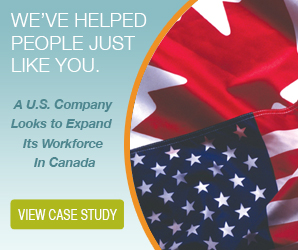 There is a much easier and perfectly legal way to expand your sales force into Canada without the complication of learning foreign payroll and HR compliance. If you’re looking to expand your sales team north of the border, get a Canadian Professional Employer Organization (PEO) to handle the payroll and HR for your Canadian workers. The Payroll Edge is a Canadian employer of record whose forte is to help U.S. and foreign companies hire in Canada. 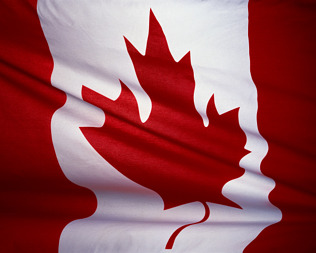 We understand Canadian compliance when it comes to payroll taxation and employment standards across every province. For U.S. companies trying to match a current employment package for a Canadian worker, the cross border differences and even the terms can be confusing. 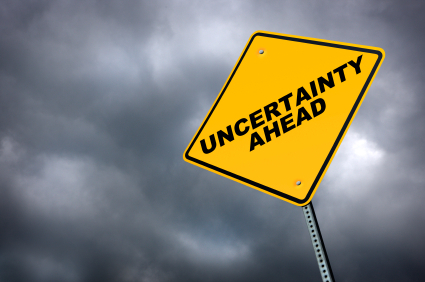 We understand these variances and can help companies navigate this unknown territory. Hiring a Canadian sales representative to promote your product or service can open up a new revenue stream for your business. By engaging with a PEO in Canada you don’t have to spend your time learning a new set of payroll and HR rules or taking confusing Canadian payroll classes, you can concentrate on other aspects of your business such as marketing and customer support. Contact us to see how much time and expense you can save by hiring a PEO service. We’ll take care of the payroll, tax remittances, employment agreements, worker’s compensation, insurance and so much more! US companies do more business with Canada than with any other foreign country. US firms expanding into Canada can find thriving markets that make the expansion well worth the effort. So, why aren’t more US firms expanding into Canada? Like any major business decision, there are many factors to consider prior to an expansion. 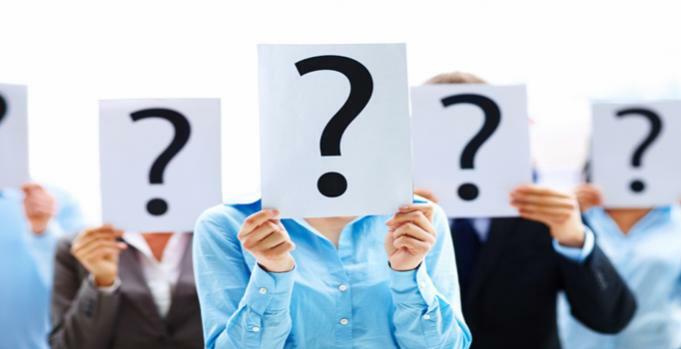 When looking into those factors, some US businesses may become hesitant. However, thousands of US businesses have successfully overcome those factors, and gone on to successful expansion. While all of these reasons are worthy of careful consideration, they alone shouldn’t derail an otherwise lucrative expansion. For US firms expanding into Canada, cost is often the leading reason for hesitancy. Setting up the accounts and infrastructure necessary for a successful expansion can be considerable. There are legal costs, administrative costs, logistical expenses, and more. However, with the proper organization and approach, these costs can be minimized. And, in the long run, they pale in comparison to the profits that a successful expansion can generate. Moving a US business into Canada isn’t as simple as renting a building and opening your doors. 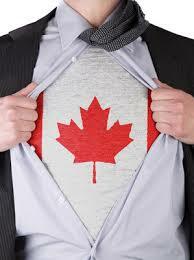 You’ll need to deal with multiple bureaucracies while setting up your Canadian presence. The Canadian government has strict rules about everything from employee classifications to product labels. Learning to navigate all of the bureaucracies, while still running your US business, can be time consuming and difficult. US firms expanding into Canada are entering a completely different legal system. There are different laws governing employee retirement funds, employee termination, pre-employment drug screening, and much more. It’s a convoluted and complicated legal code that has a different foundation and direction than what US employers are accustomed to. It can take years to learn the ins and outs of Canadian employment and business law, and then it requires constant vigilance to keep up with changes to those laws. US firms expanding into Canada may be hesitant due to fears of stretching their existing staff to thin. If you’re using your current US staff to manage your Canadian expansion, you may be putting too much on their plate. While you want your Canadian expansion to be successful, you don’t want that success to come at the cost of damaging your US base. Asking your current personnel to learn a new legal, administrative, and payroll system, while still managing your US business, can be problematic. Most business owners like to manage their own business. They enjoy being involved in the day to day activities, and like keeping an eye on the business they’ve worked so hard to build. US firms expanding into Canada don’t always enjoy this luxury. Unless your US business is right across the border, you probably won’t be able to visit your Canadian site every day. This means handing the reins over to another person, and trusting them to do the job to your satisfaction. Registering a business in Canada just to hire staff to represent your product or service may seem like more trouble than it’s worth. An Employer of Record solution, similar to a PEO in the U.S., may be able to take that trouble off your hands and allow you to stay where in you are. They can assess whether registering a business in Canada is a necessary step to your expansion or if they can employ your workforce from a legal and legislative compliance perspective in Canada allowing you representation without the hassle of understanding foreign employment compliance. A professional payroll service provider, like The Payroll Edge, can help you navigate these issues, and get your Canadian workforce up and running. Given our cultural similarities, many US businesses assume that all they have to do to pay Canadian employees is slap some international postage on a check. Once you start looking into the matter, you’ll quickly realize that there are a lot of legal and administrative hurdles you have to overcome to pay Canadian employees. These hurdles are so problematic, that many US businesses either give up on operating in Canada, or try to find ways to “work around” the laws. Either of these options can end up costing you money, whether it’s in unrealized revenue or in fines and penalties. On the other hand, there is an easy, affordable way to pay Canadian employees without having to jump through a lot of hoops. If you need to pay Canadian employees, you can spend months jumping through hoops, or you can spend a few minutes on the telephone. An Employer of Record (EOR) is a Canadian business that offers administration and management services to foreign companies paying Canadian employees. They operate as completely legal Canadian entities, with all of the accounts and infrastructure required by law. You pay them directly and, in return, they hire and manage Canadian employees, calculate and distribute payroll, handle tax and insurance withholdings, and otherwise oversee your business processes inside of Canada. Expanding your business into Canada can take months. Securing a physical address, finding a bank, setting up insurance, and government inspections will all take time and cost money. Until you’ve completed each and every step to everyone’s complete satisfaction, you can’t do a single dollar’s worth of business in Canada. That’s months of time and expenses between you and your first sale. 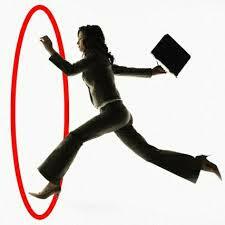 EORs are already established and ready to start handling your business immediately. They’ve cleared all the hurdles, jumped through all the hoops, and have been successfully helping other US businesses for years. Instead of having months of red tape standing between you and a Canadian expansion, pick up the telephone and make a long distance phone call! 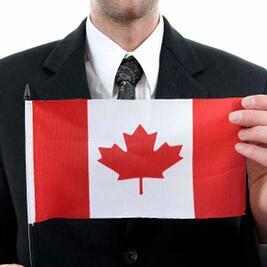 One major problem faced by US businesses is their lack of experience with Canadian employment rules and payroll laws. The laws are complex and constantly changing. Without constant training and adequate experience, it’s easy to make expensive mistakes. When you’re trying to expand, those mistakes will slow down the process, costing you more time and money. 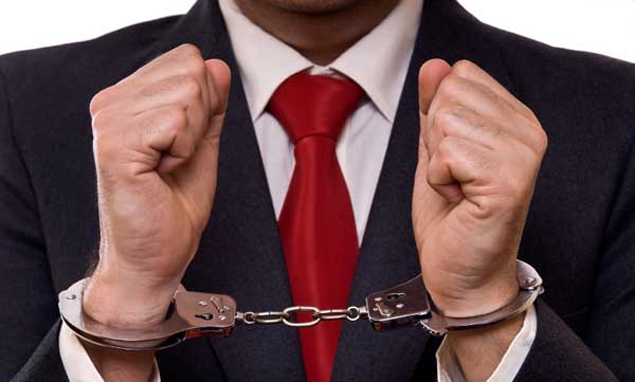 After you hire Canadian employees, mistakes could close your doors and expose you to criminal penalties. Canadian EORs are professional employers. Their primary business is the hiring, management, and payment of Canadian employees. Day in, and day out, they deal with all aspects of Canadian employment and payroll regulations. On top of their daily experience, they also train constantly to keep up with changes to the law, meet with regulators, auditors, and legislators, and even provide input on proposed changes to the legislation. At the end of the day, an EOR is far less likely to make a mistake that will end up costing you time and money. A Canadian EOR, like The Payroll Edge, can provide all of the services you need to get your expansion up and running quickly. And, unlike the do-it-yourself route, you won’t have to deal with mistakes, misunderstandings, and red tape along the way. Why reinvent the wheel, when The Payroll Edge can have you rolling smoothly in no time? For US-based businesses, managing payroll in Canada presents a unique set of challenges. To legally hire and pay Canadian employees, there are numerous obstacles that must first be overcome. The cultural similarities between the US and Canada can give the impression that managing payroll in Canada isn’t that different from managing payroll in the US. Unfortunately, nothing could be farther from the truth. Canadian payroll regulations are wholly different from US regulations. From the ground up, managing payroll in Canada is a completely different animal. US-based businesses that aren’t fully aware of these differences at the outset are sure to make costly mistakes along the way. 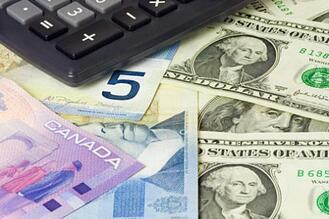 A lot of US businesses choose to try and manage their Canadian payroll needs by themselves. They believe that using their existing HR staff and payroll system will save them money in the long run. Once they get into it, they often realize that their existing payroll management simply can’t be adapted to manage their payroll in Canada. The vast differences between the Canadian and US systems make it nearly impossible to use the same personnel and processes to handle payroll in both countries. This makes it necessary for the US-based business to set up two entirely separate payroll departments. In effect, trying to save money will immediately double the cost of managing payroll. Setting up a separate payroll system is just the first of many obstacles that the business will face. Before hiring their first Canadian employee, they must also register a business presence inside of Canada, set up accounts with Canadian regulatory authorities and agencies, establish banking and insurance infrastructure, and make sure their business complies with all federal and provincial statutes. Once all of those steps are completed, they can then begin going through all of the steps to hire and retain employees. At a minimum, those steps will require verification and classification of employees, managing withholdings and remittances, ensuring compliance with workplace safety and training requirements, and keeping up with the frequently changing payroll regulations. 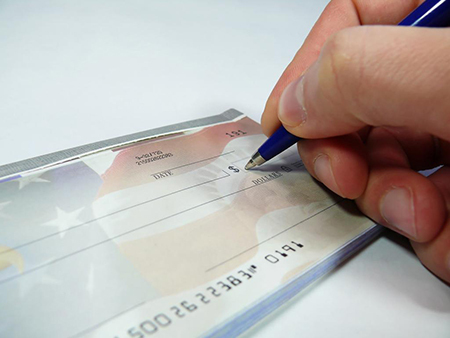 Before a business issues its first paycheque, it will invest hundreds of work-hours into just making sure that the cheques will be legal and legitimate. For US businesses that don’t have the time to essentially start a new company across the border, there are companies that provide Canadian Employer of Record (EOR) services. These are the northern cousins of professional employer organizations (PEO). They not only take over the management of payroll but mitigate the risk of hiring someone in an unknown country by taking responsibility of all government compliance. With an EOR in Canada, a U.S. company does not have to maintain a business presence north of the border or keep up to date with the many rules and regulations that change from Province to Province. There are other significant advantages to retaining the services of an EOR. A Canadian EOR helps maximize efficiency while minimizing risk. They have the training and tools to deal with the most convoluted aspects of payroll and human resources in Canada. This helps them quickly and accurately handle all of your payroll needs, from worker classification to taxation remittances. An EOR will also have an existing infrastructure for banking and insurance, along with all of the necessary government accounts. And when it comes to the variety of issues that can arise when hiring a worker, an EOR will take care of them as well from employment agreements, harassment claims, employee discipline and termination all within the compounds of Canadian law. If you’re looking for a less risky, more efficient way to expand into Canada, an EOR is for you.